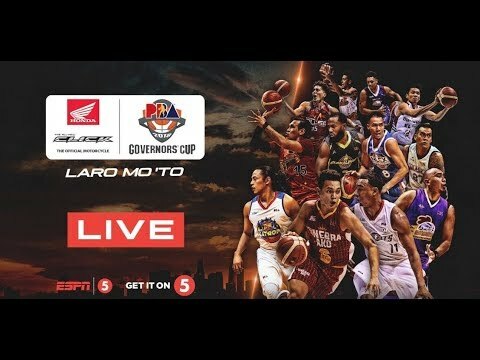 Watch the PBA Governors Cup today October 6, 2018 at the Ynares Center-Antipolo. The Northport Batang Pier faces the Columbian Dyip at 4:30PM. The Northport Batang Pier still winless in this tournament with a record of 0W-6L, and they were defeated by the TNT Katropa 102-104 in their last game. Meanwhile, the Columbian Dyip also winless with a record of 0W-7L, defeated by the Magnolia Hotshots in their last game. NorthPort 118 – Tautuaa 26, Pringle 26, Anthony 25, Woods 13, Taha 10, Elorde 7, Gabayni 3, Grey 2, Flores 2, Espinas 2, Guinto 2, Fortuna 0, Javelona 0, Teng 0. Columbian 101 – King 29, McCarthy 16, Escoto 14, Corpuz 13, Wright 10, Khobuntin 5, Cahilig 4, Celda 3, Sara 3, Reyes 2, Gabriel 2. Quarters: 24-25, 53-50, 86-89, 118-101.